We’d love your help. Let us know what’s wrong with this preview of The Culture Clash by Jean Donaldson. To ask other readers questions about The Culture Clash, please sign up. This book is probably one of the best dog training books out there. It's the only book that I've found that really, truly, describes the positive reinforcement (+R) method which in a nutshell involves ignoring unwanted behavior and rewarding good behavior. Why only three stars? This vitriolic book is hard to read. The author is apparently so fed up with owners who don't have a clue that she rarely holds back any opportunity to disparage any and all owners. The book drips in hatred for the mistake This book is probably one of the best dog training books out there. It's the only book that I've found that really, truly, describes the positive reinforcement (+R) method which in a nutshell involves ignoring unwanted behavior and rewarding good behavior. Why only three stars? This vitriolic book is hard to read. The author is apparently so fed up with owners who don't have a clue that she rarely holds back any opportunity to disparage any and all owners. The book drips in hatred for the mistakes made by average dog owners. And I found a couple of huge mistakes. In particular, she talks about how dogs know when they've done something bad. She describes a boxer tearing apart the furniture when the owner is gone, and then cowering when the owner returns. She doesn't mention that if the owner was an incredible actor and made no reaction upon seeing the mess, that the dog would probably have no reaction - the point she missed here is how well dogs read just a flicker of our emotions. That boxer had no idea the owner was upset about the mess he'd made. He just knew the owner was upset from the instant she saw the mess. Had the place been pitch-black, the owner and dog would have greeted one another without incident. It bothers me that an "expert" like Donaldson would so completely misread something that I see clearly as an amateur. I feel I have to get my complaint about Donaldson in since she spends so much time yelling at average folk. Beyond that, if you really want to understand complex aspects of +R training, this is your book. Unfortunately, it won't go into the detail you'll want. For instance, you'll feel like a real dummy if you follow the section on avoiding "counter surfing" and still can't keep your dog from grabbing food off the counter. Another reviewer (who gave it 1 star) wrote, "(Jean Donaldson) writes as though she thinks most (99%) humans are irresponsible morons." If I were the publisher, I would be like, "Yes. Nailed it! There's our pull quote for the cover of the next edition." Dogs are not space intensive, they are time intensive. Given a choice between your time and a yard, virtually every dog on this earth will opt for more time hanging out with living beings. It's all chew toys to them... virtually all natural dog behaviors - chewing, barking, rough play, chasing moving objects, eating any available food item within reach, jumping up and pawing to greet, settling minor disputes with threat displays, establishing contact with strange dogs, guarding resources, leaning into steady pressure against their chests or necks, urinating on porous surfaces like carpets, defending themselves against perceived threat - are all considered by humans to be behavior problems. The rules which seem so obvious to us make absolutely no sense to dogs. They are not humans in dog suits. This author is just so negative I am having to stop reading the book half-way through. She writes as though she thinks most (99%) humans are irresponsible morons. She scolds and complains continually throughout every chapter. Here and there she says something interesting about a training technique but those rare bits are simply not worth plowing through her insults. The book might be useful for a first time dog owner with a puppy. Most of the training comments are directed towards small puppies. This author is just so negative I am having to stop reading the book half-way through. She writes as though she thinks most (99%) humans are irresponsible morons. She scolds and complains continually throughout every chapter. Here and there she says something interesting about a training technique but those rare bits are simply not worth plowing through her insults. Very good overall. The most common criticisms of this book are the tone and the organization. They are legitimate criticisms. The author is extremely sharptongued when it comes to dominance theory and anthropomorphizing. I personally find her derision amusing rather than insulting, but I concede that the tone isn't for everyone. I do appreciate someone who speaks bluntly and honestly rather than dancing around strong opinions, but I can see some readers being turned off by this. Personally, I fo Very good overall. The most common criticisms of this book are the tone and the organization. They are legitimate criticisms. The author is extremely sharptongued when it comes to dominance theory and anthropomorphizing. I personally find her derision amusing rather than insulting, but I concede that the tone isn't for everyone. I do appreciate someone who speaks bluntly and honestly rather than dancing around strong opinions, but I can see some readers being turned off by this. Personally, I found myself laughing at the just-so explanations I'd concocted for my dog's behavior, when the real explanation is probably a lot simpler. The book (as far as I can tell) has no index. Also, if you want information on a specific topic, you often have to look in several different places. Explanations of learning theory and specific instructions for training common behaviors are often intermingled. I solved this problem by bookmarking. What I like most about this book is the merging of practical step-by-step instruction with explanations of why the steps work. The author explains it in simple, scientific terms. And she doesn't just give recipes for specific behaviors; she explains why those recipes work so that you can train literally any behavior using a similar method. It's not an in-depth technical manual on operant conditioning, but it does give a general overview of how an animal learns. This is extremely helpful when you're trying to crack a problem behavior with your dog, or train him to do something complicated. A good example of this is one explanation of why dogs sometimes seem to "know" a command and then suddenly stop obeying it. We might say the command and then immediately prompt the dog in some way, taking advantage of instinctual behaviors. So we say "come" and then bend down and make inviting noises. The dog is naturally inclined (at least as a puppy) to come when we clap our hands or makes kissy sounds. That doesn't mean he's learned what "come" means. We assume he does, and then expect him to come when we say the word and label him stubborn if he doesn't obey. In reality, he's never made the connection. The author describes a process called "fading the prompt" (the prompt being the kissy noises or clapping or whatever gets the dog to instinctively come). You have to give the dog a chance to start coming without the prompt. You wait a few seconds and see if he gets it, even by accident. If he doesn't get it, then you prompt. Do this enough times, and eventually he'll connect the dots (if you're reinforcing properly, that is). Another example: generalization versus discrimination. We think the dog "knows" a command because he does it at home. Take him to the park and try to get him to do it and he looks at you like you've got nine heads. The fascinating thing about this is that it's not a problem - it's a feature. Dogs are so good at discriminating, at figuring out what is different this time, that they don't necessarily generalize what they've learned to new locations. As soon as you introduce a variable like location, as far as the dog is concerned this is a completely new circumstance that could require new behaviors. It's what makes it possible to train them in the first place: they notice what is new. But it also means that if you want them to always sit when you say sit, you have to practice in multiple locations and be willing to sort of "retrain" for each location, until the dog understands that this cue applies everywhere. Really enjoyed this book. Jean Donaldson pulls no punches with her views about the use of aversive dog training - she thinks its inhumane, unnecessary and shouldn't happen. I agree. She makes a significant effort to lead her readers to better understanding of dog behaviour and motivation and to dispel the "Disney Land" dog fantasies so many dog owners have; dogs exist to please us, are intelligent (like humans) and moral (understand the difference between right and wrong). Jean makes it clear th Really enjoyed this book. Jean Donaldson pulls no punches with her views about the use of aversive dog training - she thinks its inhumane, unnecessary and shouldn't happen. I agree. She makes a significant effort to lead her readers to better understanding of dog behaviour and motivation and to dispel the "Disney Land" dog fantasies so many dog owners have; dogs exist to please us, are intelligent (like humans) and moral (understand the difference between right and wrong). Jean makes it clear that dogs are motivated by making nicer, better things happen for themselves, more often. More good stuff (food, chew toys, walks, games) less bad stuff (scolding, containment, isolation etc). Excellent resource that should be in every trainer / behaviorist's library. První kroky k pochopení psa a základních povelů. This book is BRILLIANT! I have read my share of dog training books and have gone to several dog training classes with different training styles, and my personal opinion is that Jean Donaldson is a genius. In her other book, "Train Your Dog Like a Pro" (comes with a 2.5hr training video), I was able to train my Golden Retriever puppy rock solid sits, downs, stays, recalls. Her method works. Before reading "The Culture Clash", I was missing information, like not fully understanding why my dog does This book is BRILLIANT! I have read my share of dog training books and have gone to several dog training classes with different training styles, and my personal opinion is that Jean Donaldson is a genius. In her other book, "Train Your Dog Like a Pro" (comes with a 2.5hr training video), I was able to train my Golden Retriever puppy rock solid sits, downs, stays, recalls. Her method works. Before reading "The Culture Clash", I was missing information, like not fully understanding why my dog does certain behaviours and what my dogs needs to succeed as a confident and obedient dog. 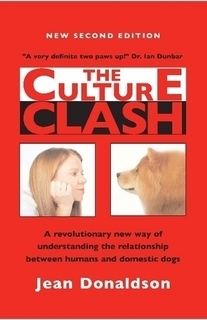 The Culture Clash has it all: how dogs learn, the natural behaviours of dogs, socialization importance, dog behaviour issues, and lastly amazing instructions on how to train for obedience. This one was a tough read at first. When I first picked it up to excitedly devour "The Culture Clash", I was hugely disappointed. She does use college-level words and her advice is mixed in everywhere, so you have to read her wisdom while getting bits of training tips here and there. I was hoping for clear organization of the book, which this doesn't have, but I soon came to realize, the wisdom is on every single page of the book so I needed to read this first as a novel: front to back (no skipping ahead!). And then tape-flag the training bits and go back to them when I needed to apply the training advice. I had a hard time deciding how many stars to give this book. Overall it's not an entertaining book, it reads rather like an instruction manual. And I think my dislike of that comes from this book being different than what I expected. However, I will say that this book is a wonderful resource for dog owners. The reasons why dogs should be trained a certain way is explained, as well as rationals given for doggie behavior that many of us might find disagreeable. The author in no way anthropomorphize I had a hard time deciding how many stars to give this book. Overall it's not an entertaining book, it reads rather like an instruction manual. And I think my dislike of that comes from this book being different than what I expected. However, I will say that this book is a wonderful resource for dog owners. The reasons why dogs should be trained a certain way is explained, as well as rationals given for doggie behavior that many of us might find disagreeable. The author in no way anthropomorphizes canines, but tries to explain why certain behaviors makes sense from a dog's perspective. If you are a new dog owner, having behavioral issues with your dog, or you just want to better understand your canine friend, then I highly recommend picking this book up. Good training advice is given, more experienced owners may use this book as a reference for their own dog training. 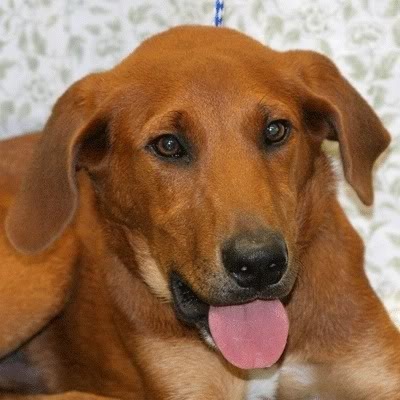 However, if you are a newbie you probably want to look into a dog obedience class or a professional trainer. This book can help you to understand what your trainer is doing, and to pick out a good trainer who uses appropriate methods. Reading in anticipation of new puppy. This is a really good book, but everything could have been said in half the time with more user friendly language. I really wanted to love this book, as it's highly recommended and the training techniques included are scientifically backed and 100% force free. However, the material is DENSE. There could be a book on each subject (and maybe there is) but it's not easy to wade through. The language is not as easily accessible as I expected. While I had no trouble, I didn't feel the people I most want to share this information with will sit down and read it when there are other, more readable texts out there (u I really wanted to love this book, as it's highly recommended and the training techniques included are scientifically backed and 100% force free. I really, really love the concepts depicted in this book. Jean Donaldson seems to be a hit and miss as far as style is concerned. Her information is good, and very helpful, but it is sometimes padded with unnecessarily unfamiliar words--why use diametrically when you can just say "different"? Isn't the point of the book to be accessible to everyone and not just an academic essay? The book is also highly repetitious, with points being reiterated over and over again in various chapters. That can be highly annoying when you read about teaching sit (even in Jean Donaldson seems to be a hit and miss as far as style is concerned. Her information is good, and very helpful, but it is sometimes padded with unnecessarily unfamiliar words--why use diametrically when you can just say "different"? Isn't the point of the book to be accessible to everyone and not just an academic essay? Lots of good information for a first time dog owner; this was recommended to me by one of our trainers. Some things I leave behind and some I take away; one thing I've learned about opinions on now to train dogs is everyone has one, and some are better than others. I agree a lot with what this book has to say and it taught me a lot and is dog eared on many pages, and there are a couple things I'd choose not to do, but that's the joys of reading informational books and many of them. Would recommend Lots of good information for a first time dog owner; this was recommended to me by one of our trainers. As a foster parent for an animal rescue, I found the book helpful. As I try to prepare my foster dogs and puppies for their future family, I'll work harder at socialization and make sure they get more of it. Especially after coming to the realization that most families just won't do the work. I enjoy the work. I've also started working with my dogs more and the book inspired me to make everything a game with them. I'll use this book over and over again in my work with rescue dogs. Difficult and not very well organized. I am interested in learning about clicker training, and the first several chapters are all behavioral problems with solutions like "play with your dog" and "let them chew things". Not super helpful, but I do like the concept of treating a dog's mental capacity in a different format than humans. The book is not written greatly. I couldn’t get past the author’s negativity towards dog owners and other trainers. Her attitude of ‘I know it all, and I know it better’ makes the book unbearable. I bought the book to learned not to be scorned. This is a very good book on the nature of dog behavior and human/dog communication. There are training exercises, but it's real value is in teaching the principles and science rather than being a how-to-train manual. I recommend this for anyone who wants to get great results training their dog. This book will change how you approach your dog and (finally) help you to understand what makes him/her tick so you can get out of 20th century dog training and into the present. snarky, but very very good. The best book on dog training I’ve ever read. I read and re-read it all the time. So insightful and relevant. Every person with a dog in the family should read it. “Imagine you live on a planet where the dominant species is far more intellectually sophisticated than human beings but often keeps humans as companion animals. They are called the Gorns. They communicate with each other via a complex combination of telepathy, eye movements & high-pitched squeaks, all completely unintelligible & unlearnable by humans, whose brains are prepared for verbal language acquisition only. Humans sometimes learn the meaning of individual sounds by repeated association with things of relevance to them. The Gorns & humans bond strongly but there are many Gorn rules that humans must try to assimilate with limited information & usually high stakes. You are one of the lucky humans who lives with the Gorns in their dwelling. Many other humans are chained to small cabanas in the yard or kept in outdoor pens of varying size. They are so socially starved they cannot control their emotions when a Gorn goes near them. The Gorns agree that they could never be House-Humans. The dwelling you share with your Gorn family is filled with water-filled porcelain bowls.Every time you try to urinate in one,nearby Gorn attack you. You learn to only use the toilet when there are no Gorns present. Sometimes they come home & stuff your head down the toilet for no apparent reason. You hate this & start sucking up to the Gorns when they come home to try & stave this off but they view this as evidence of your guilt. You are also punished for watching videos, reading books, talking to other human beings, eating pizza or cheesecake, & writing letters. These are all considered behavior problems by the Gorns. To avoid going crazy, once again you wait until they are not around to try doing anything you wish to do. While they are around, you sit quietly, staring straight ahead. Because they witness this good behavior you are so obviously capable of, they attribute to “spite” the video watching & other transgressions that occur when you are alone. Obviously you resent being left alone, they figure. You are walked several times a day and left crossword puzzle books to do. You have never used them because you hate crosswords; the Gorns think you’re ignoring them out of revenge. Worst of all, you like them. They are, after all, often nice to you. But when you smile at them, they punish you, likewise for shaking hands. If you apologize they punish you again. You have not seen another human since you were a small child. When you see one you are curious, excited & afraid. You really don’t know how to act. So, the Gorn you live with keeps you away from other humans. Your social skills never develop. Finally, you are brought to “training” school. A large part of the training consists of having your air briefly cut off by a metal chain around your neck. They are sure you understand every squeak & telepathic communication they make because sometimes you get it right. You are guessing & hate the training. You feel pretty stressed out a lot of the time. One day, you see a Gorn approaching with the training collar in hand. You have PMS, a sore neck & you just don’t feel up to the baffling coercion about to ensue. You tell them in your sternest voice to please leave you alone & go away. The Gorns are shocked by this unprovoked aggressive behavior. They thought you had a good temperament.